How stinkin’ cute is that idea? I love it and may be borrowing it this summer! SO creative – love the rainbow!! Everything is a must have for me when it comes to grilling, esp veggies! heck yeah, that is adorable! I love brats on the grill. What an amazing idea! I am definitely using this for Summer’s BBQ’s. BTW those sausages look delish. That is so adorable! Not to mention mouth watering. I will have to keep this in mind for our Summer BBQ get together s.
I love this! Just reading it made me hungry and the color “paint” added makes it that much more attractive! Would love to try this for a summer get together. Thanks! What a fun idea! I love grilling out. That is such a fantastic idea!! I want to have a paint party now! I need to come to your cookout! That hot dog looks great and I don’t even eat them! Time to start firing up the grill! farms? I am a fan. Love their polska-kilbaska. Hope that’s spelled right! How cute is this idea! Easy dinner idea to feed the masses! Such a fun idea for a family bbq! PS, those dogs look amazing! What a FUN idea! I live in AZ and we grill year round too. Isn’t it awesome?!! That is such a neat idea! Love the way you set it up to look like a paint thingymajig (can’t remember what’s it called!). This is so creative! I just love it. Way to dress up the normal dog. I love that you have it like artwork. Food looks so appealing when it’s colorful like that! This is such a fun idea! It’s perfect for entertaining. This was so clever! I’m actually excited to grill vegetables this summer. LOVE THIS! This is definitely our kind of summer grillin’. I love the way you set up all the condiments. That looks so pretty! That is super creative and looks so pretty! I love how the condiments are displayed. Wow, these looks so cute and very creative. The pictures makes me hungry! You are so stinking adorable! I love this. Unfortunately I have a food sensitivity to peppers but love red onions! Those look so good and the topping choices are awesome! So creative! I love the idea of a toppings bar for grilling season. I try to grill out as much as possible when the weather is nice. We love Hillshire Farms sausages! I haven’t seen those yet but will be looking for them now! Those look yummy! Love all the coors from the peppers and condiments! That is an amazing idea! I love doing DIY bars for food at parties. It’s so fun! That is so fun! I love the idea! What a fun “bar”I love this idea, we will have to do this at our next cookout. This entire set up is way too cute! 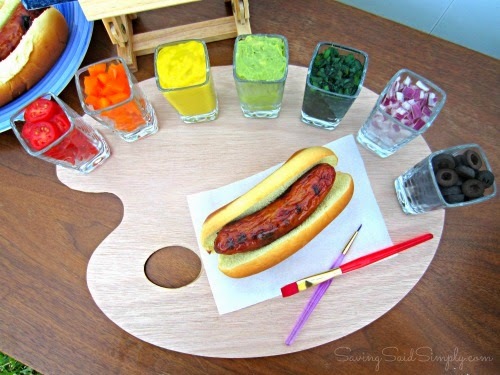 I love the fun paint theme and hot dogs are a summer staple. These Hillshire Farms dogs look yummy! 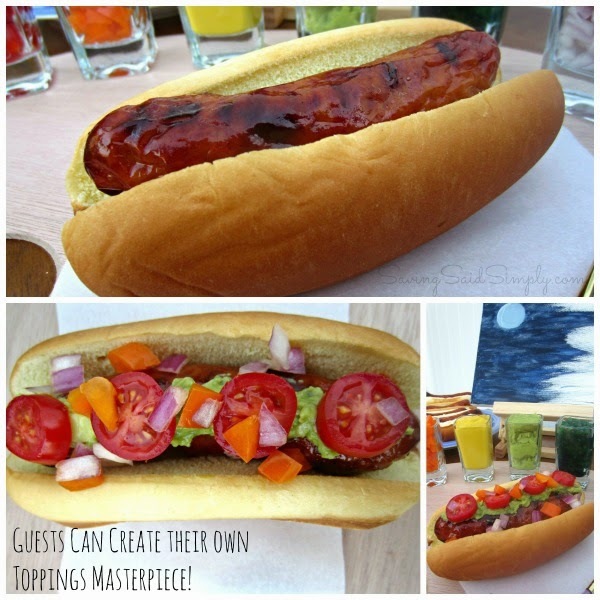 I love your idea for painting them with condiments. Very creative, Christie! These look soooo yummy! I’ve never heard of putting olives on a sausage dog though. I’ll have to give that a try. What a fun cookout! Invite me over next time? What an adorable idea. The boys would get a kick out of this. These sausages look so delicious! I totally want to try these. I love this idea to offer condiments. It also a challenge on how to do this a fun, easy for guests and cleaning way. I will definately be “borrowing” this idea! This is an amazing idea! 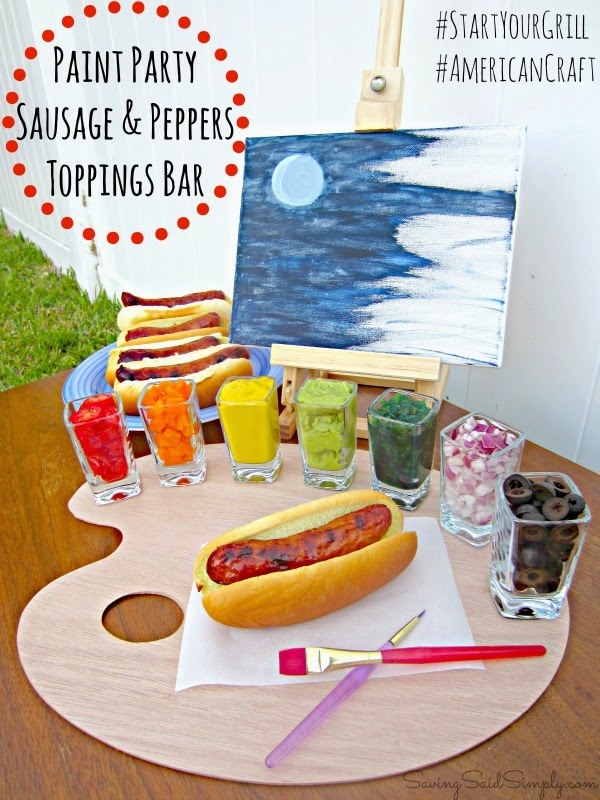 I LOVE your display of all the toppings with the paint them, it’s fantastic! 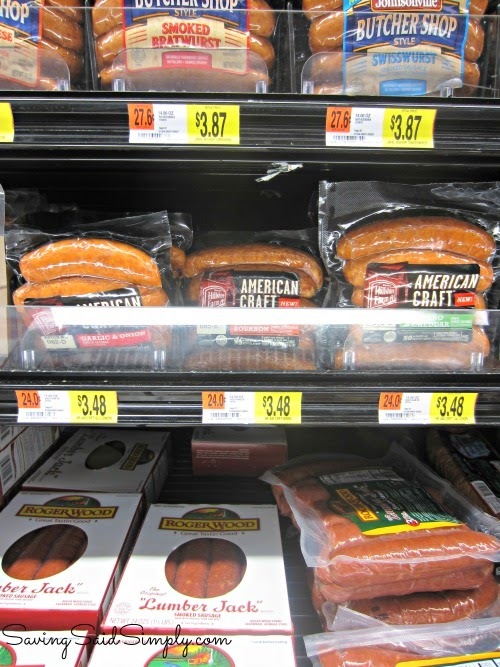 We also love brats around here and I stocked up on American Craft earlier this year so I think we’re going to have to do something with them this winter to give us a feel for summer again. Thanks for the inspiration! Can’t wait for summer, right now is so cold to be outside.